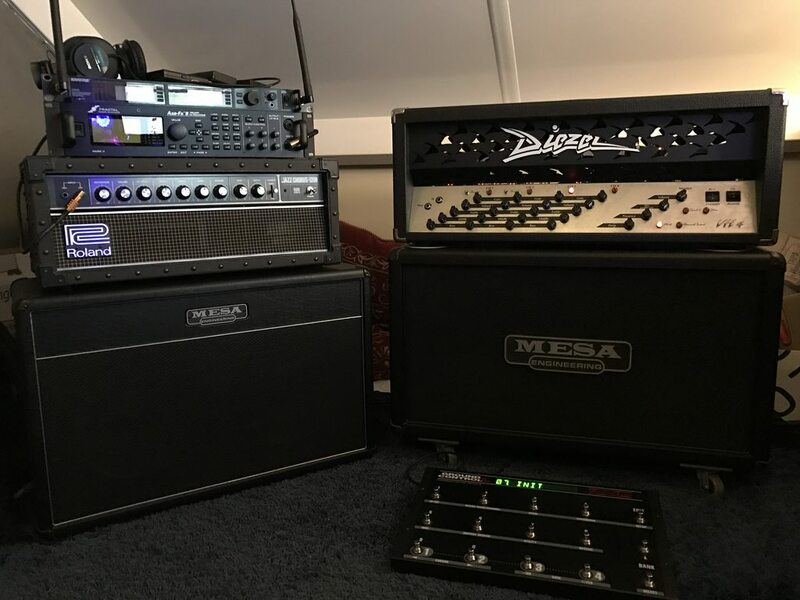 I've been lurking here for years and never posted my rig. 1979 MKIIA HRG Head "BEEF SUPREME"
1986 MKIII Purple Stripe "The Nurple"
Looks like it gets used. I gig it some but believe it or not , I bought most of that stuff on the cheap in the condition that its in. With exception of the MKIII on the left. 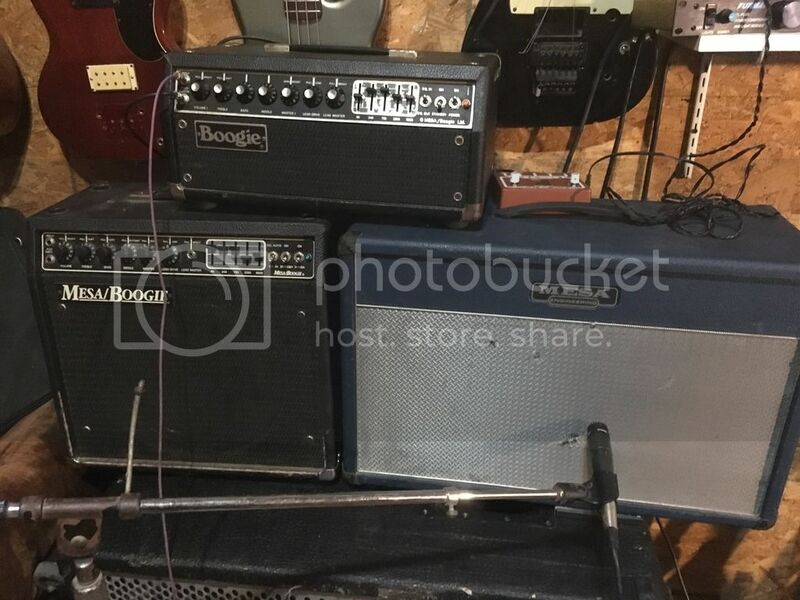 My uncles pet rabbit mangled the tolex on it and many other things around the jam room. I broke the pot on it loading out one night. 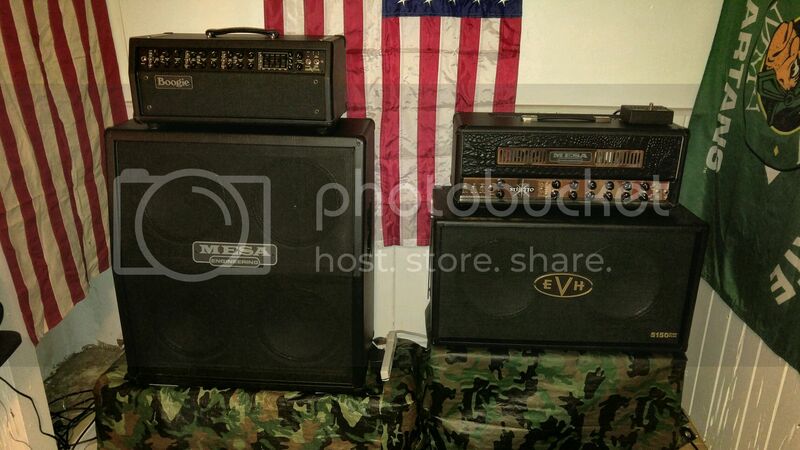 The Lone Star Cab and the IIA are in the condition that I bought them in!!!! I recently added an original 2c+ to the arsenal and I am beyond words on how this all sounding. All running simultaneously and some sections in stereo. It's that good its a wonder I ever leave this room.... which sometimes I don't and if I do it's usually against my will. 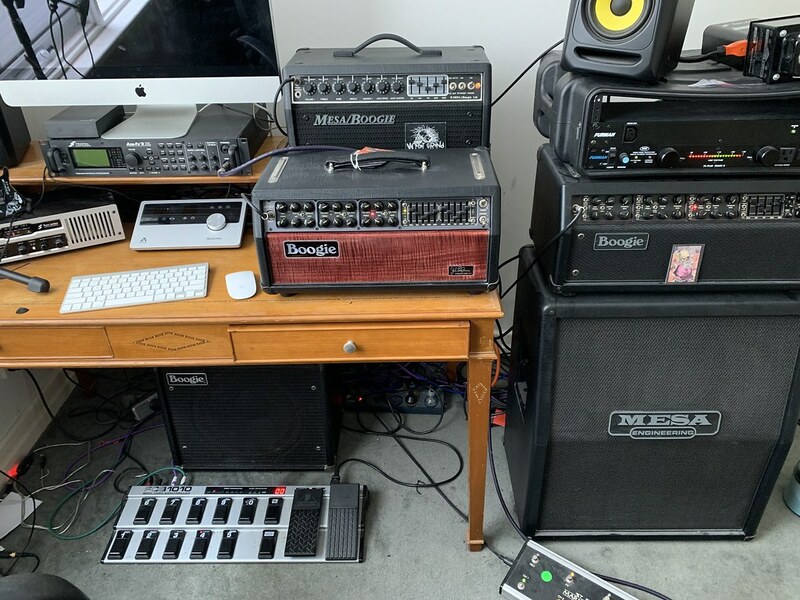 I've put some detail in this thread with info on how to set it up with multiple heads using the axe fx (or any other midi unit that has multiple outputs) for anyone interested. Not sure how to crop this pic down a bit but here's the new setup. 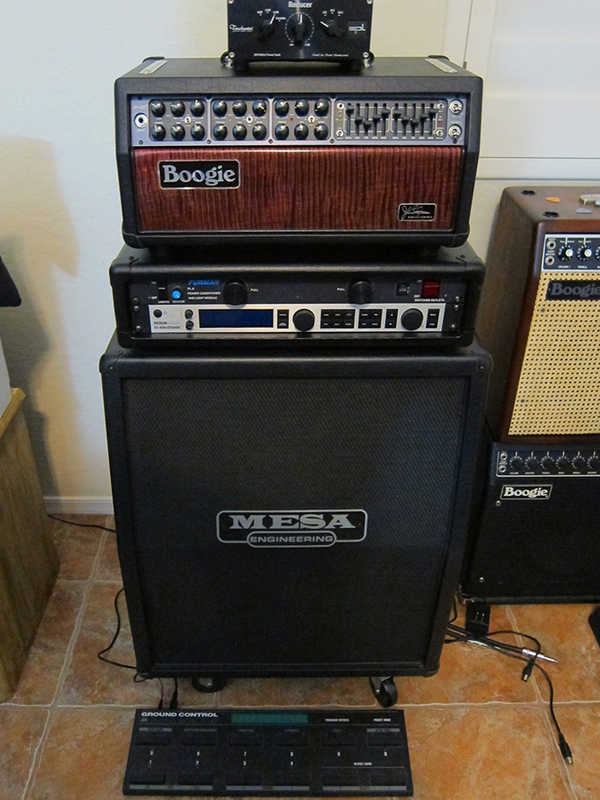 I've had the Stiletto and 4x12 since 2009.